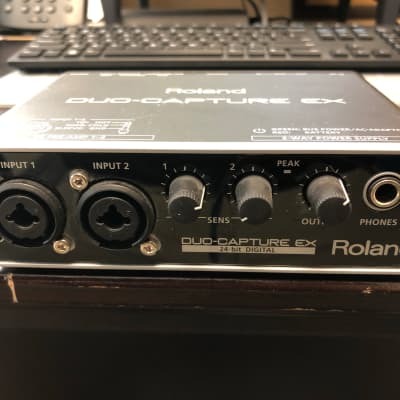 UA-22 Duo-Capture EX, USB audio interface from Roland in the UA series. 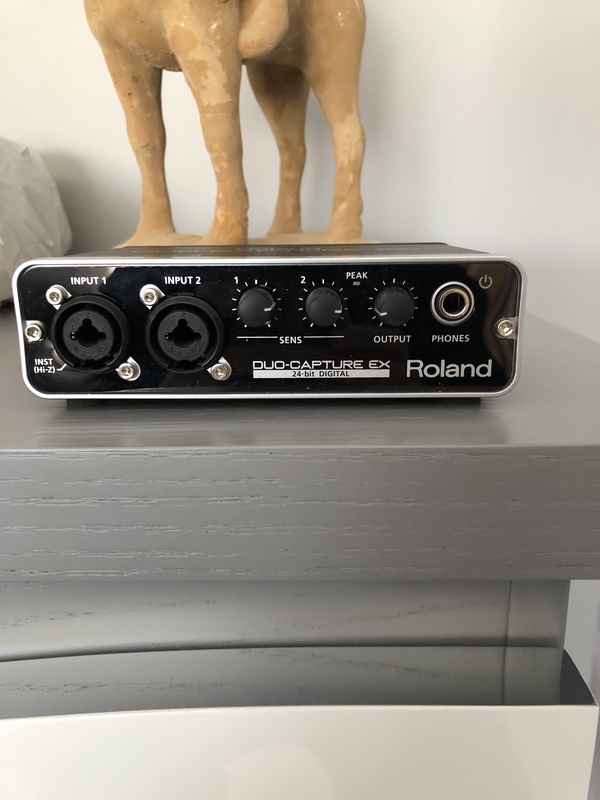 dumdumbass's review (This content has been automatically translated from French)" excellent qual / price ratio"
I use it only in conjunction with a Macbook, power to the USB port, usually connected to a Mackie VLZ table. The aim was to bypass the sound card on my laptop, to safely do without a power supply, possibly a mixing desk, and also to work with a decent connection. Objectives met. Stable drivers because I never think about it. Used mainly with Ableton Live 8. Cà also works with Logic 9. I never tried to record (live only). 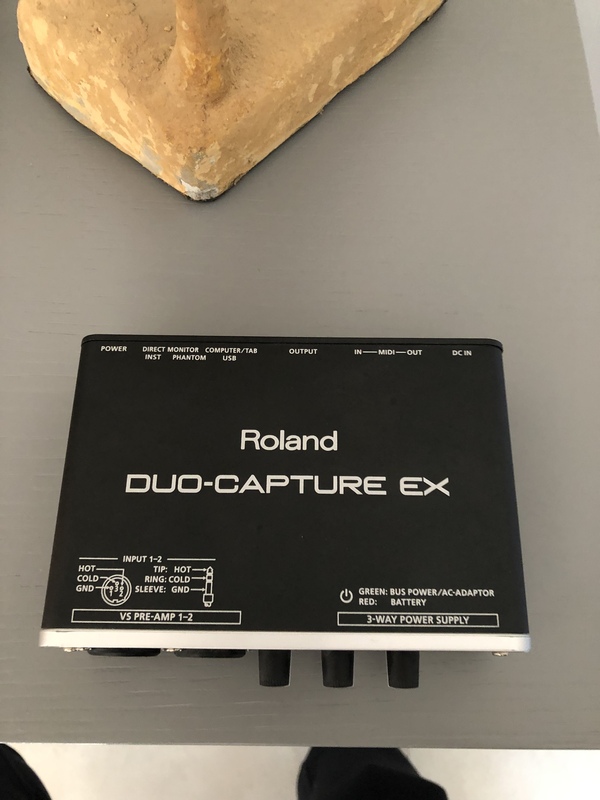 Surprising: I get a real improvement of its directly connecting the output jack (stereo) Korg synth on 2 entries Duo-Capture, rather than the mixing desk ... (The Duo-Capture is yet connected to the same table). And here it better like that! I do not remember the install, which was very easy. Comparison with other cards that difficult to save money as I use more expensive interfaces. 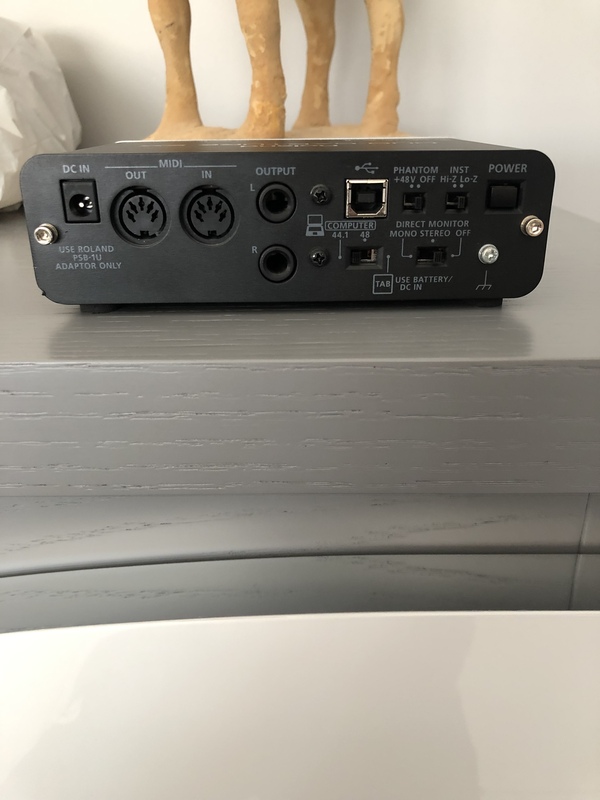 Feature: usability, lightness in the transport, fast connection to the USB port, and sound. At that price, that you ask for musicians? (You can also use it in stand alone with batteries). Small problem: it happens often enough to have to find it in the preferences of my DAW before playing, but here takes less than 10 seconds ... I would have appreciated a separate headphone output volume. I would resume without problem, otherwise its "big" sister Quad Capture, which is barely more expensive and bulky, with the same components. 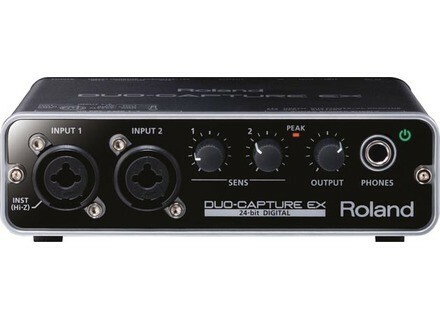 The new Duo-Capture EX is suited for both home recording and mobile production.